The first installment to the SD Gundam Cross Silhouette series is the RX-78-2 Gundam! 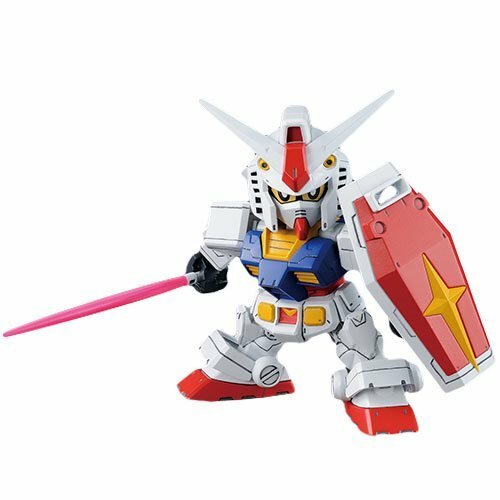 The Mobile Suit Gundam #1 RX-78-2 Gundam Bandai SDGCS Model Kit features a tricolor color scheme that has been recreated with a division of parts unique to the SD. The model kit includes SD Frame, 1x Beam Rifle, 1x Shield, 1x Beam saber, 4x Runner, 1x Foil sticker sheet, and 1x Instruction manual. Measures about 3-inches tall. Ages 8 and up.